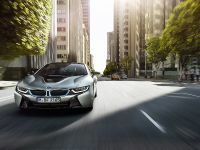 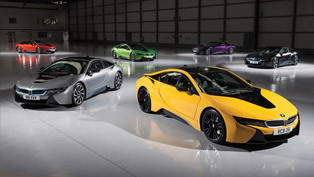 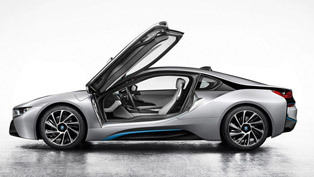 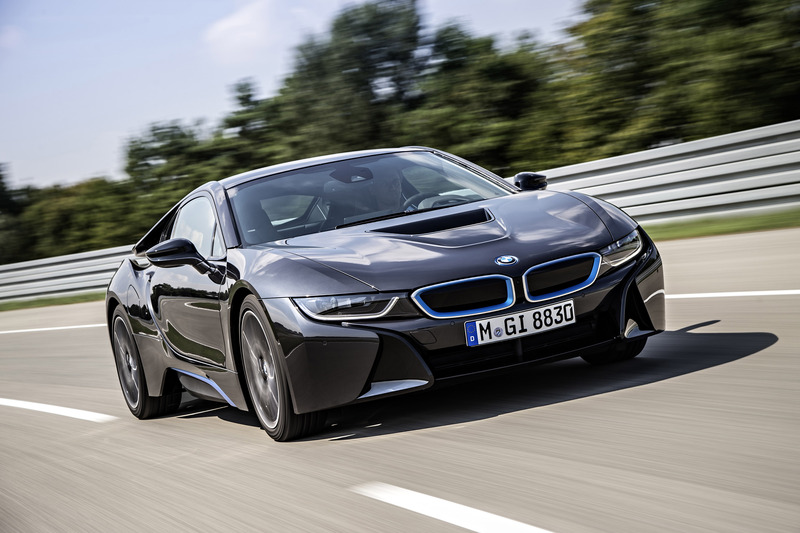 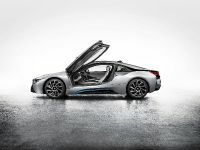 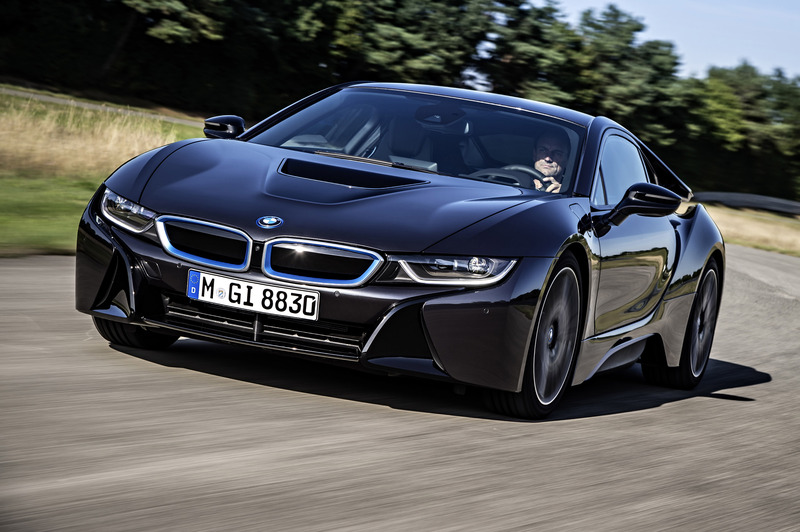 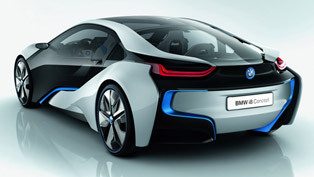 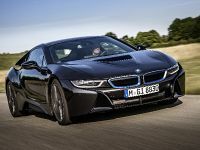 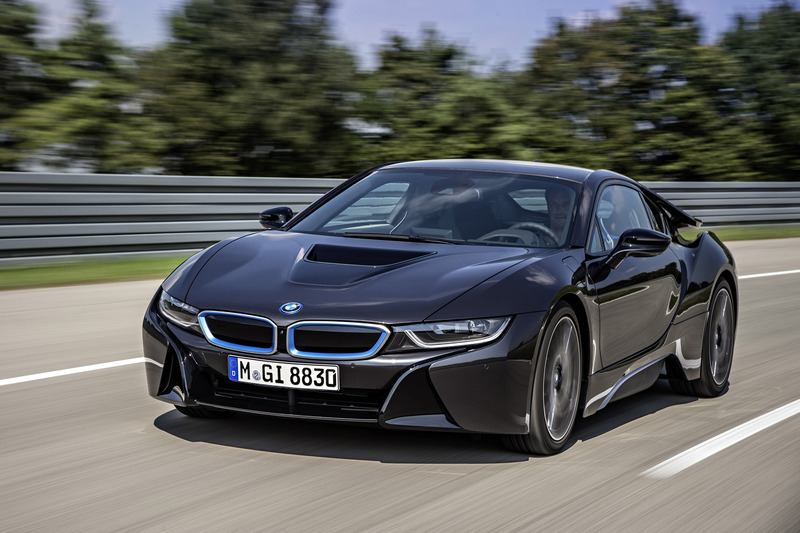 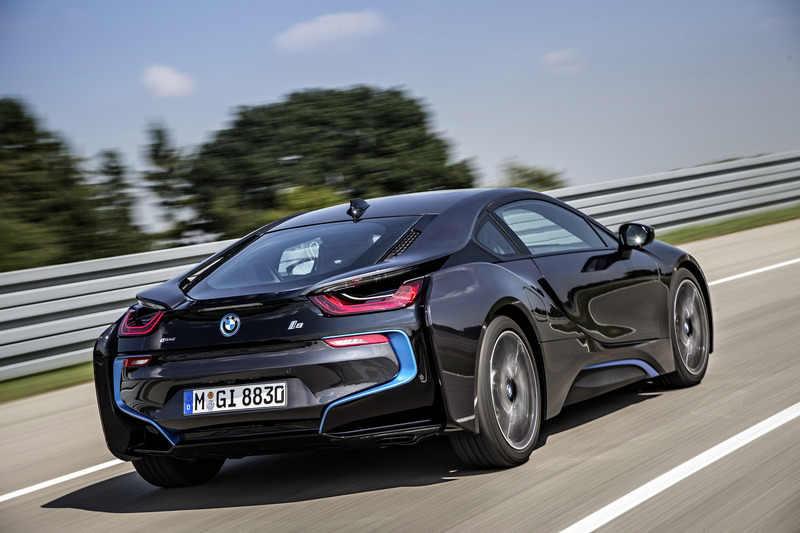 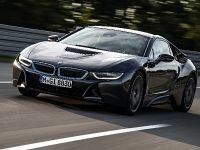 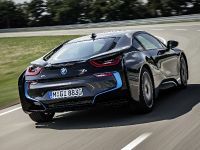 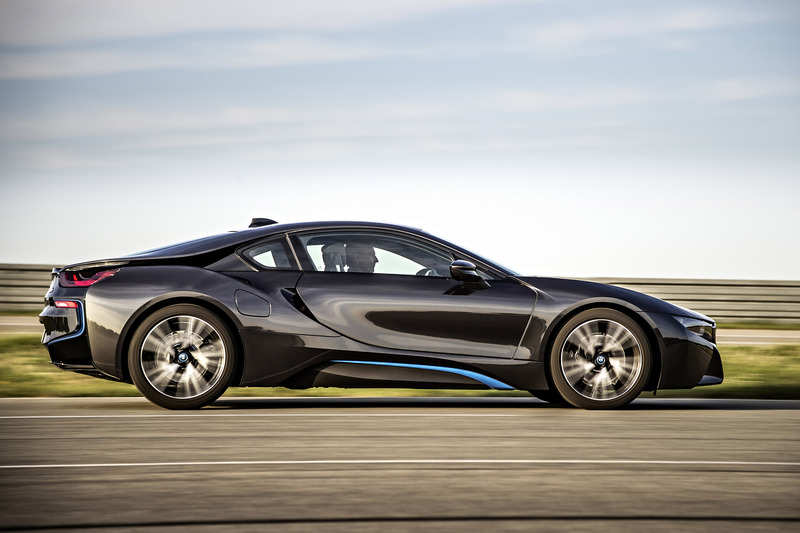 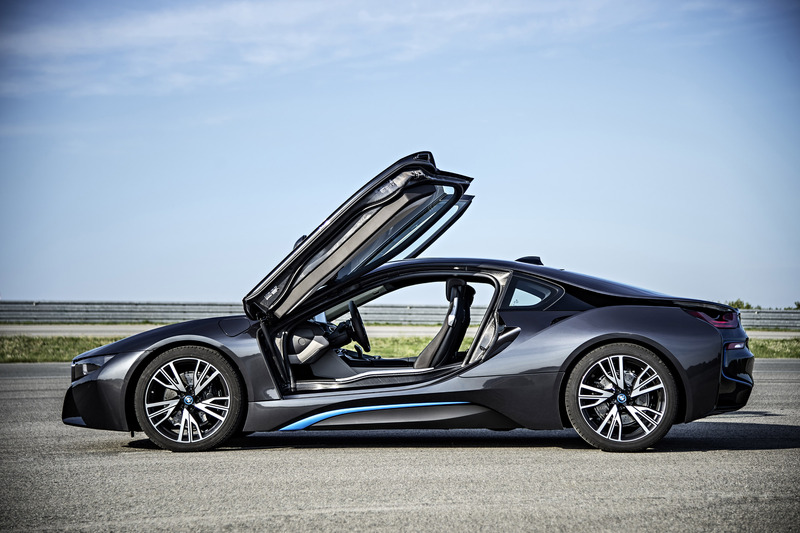 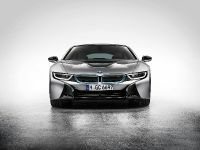 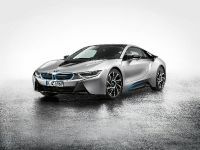 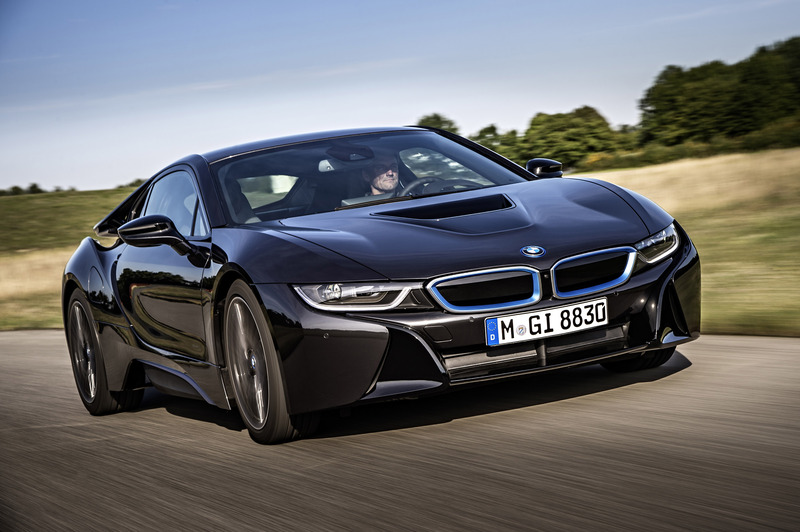 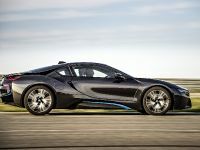 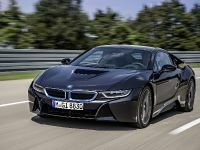 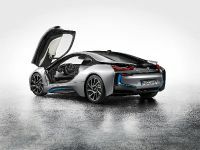 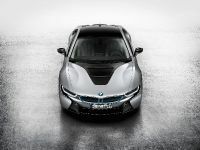 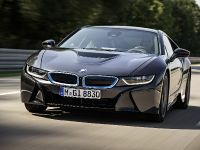 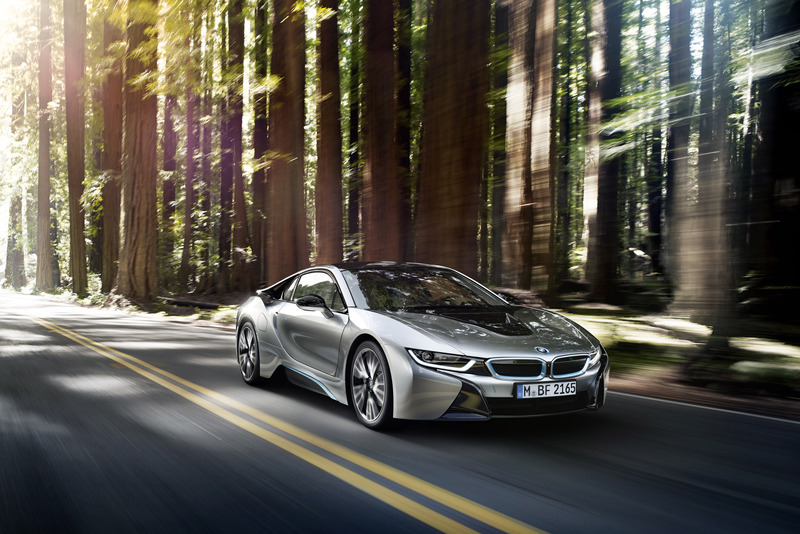 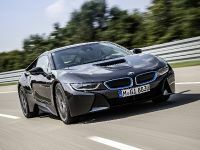 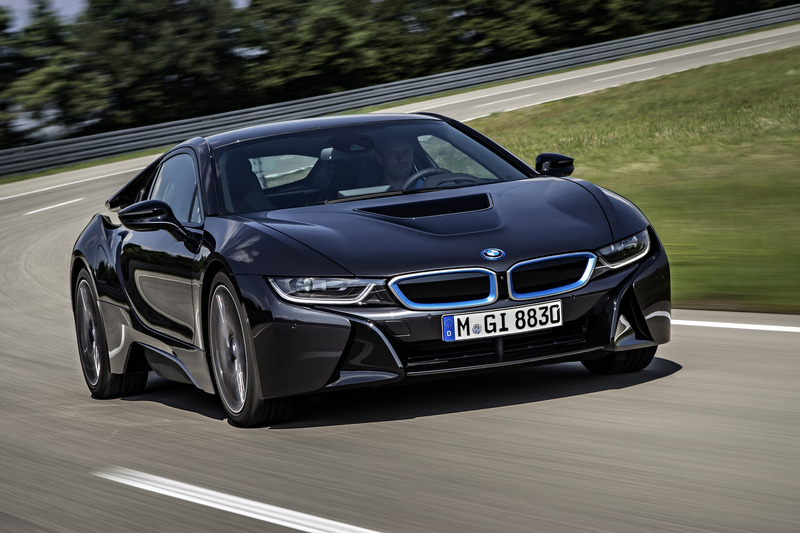 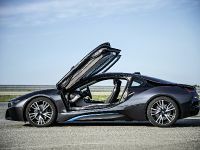 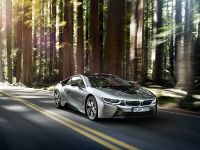 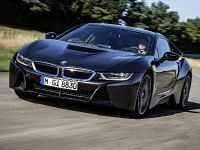 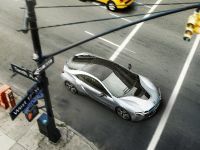 BMW has unveiled the production ready 2014 i8 super car at the 2013 IAA in Frankfurt. 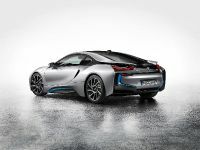 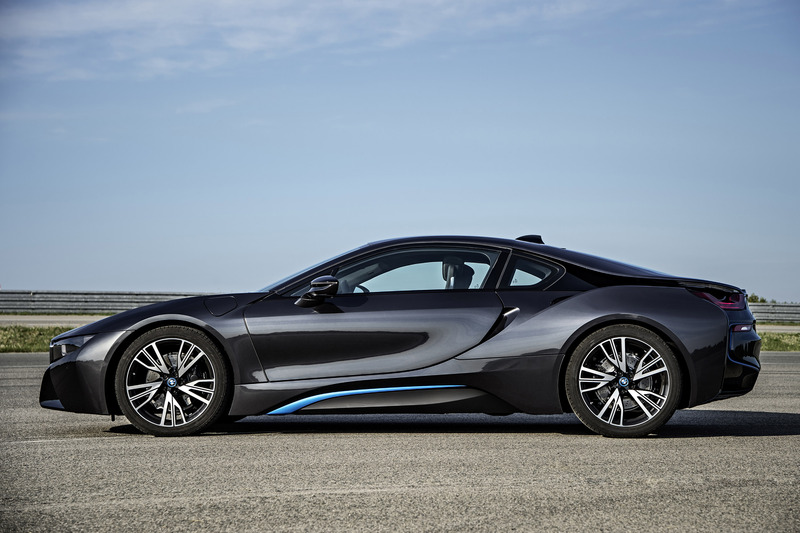 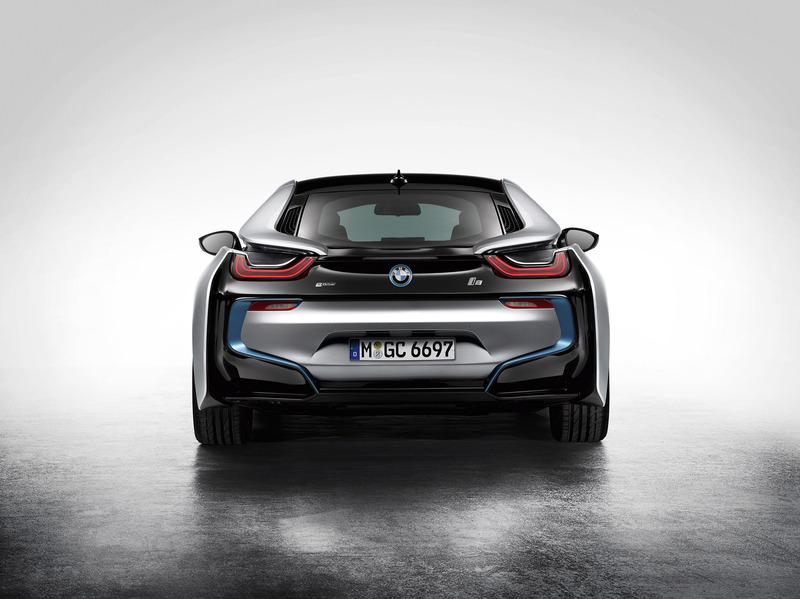 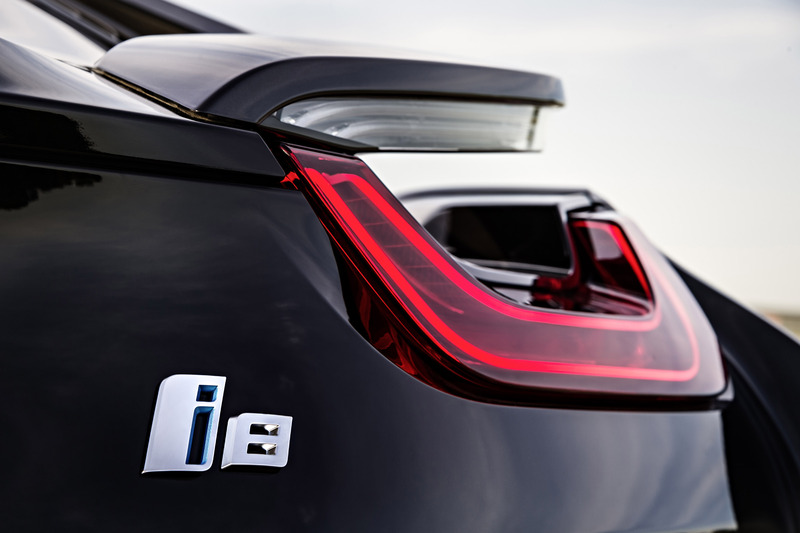 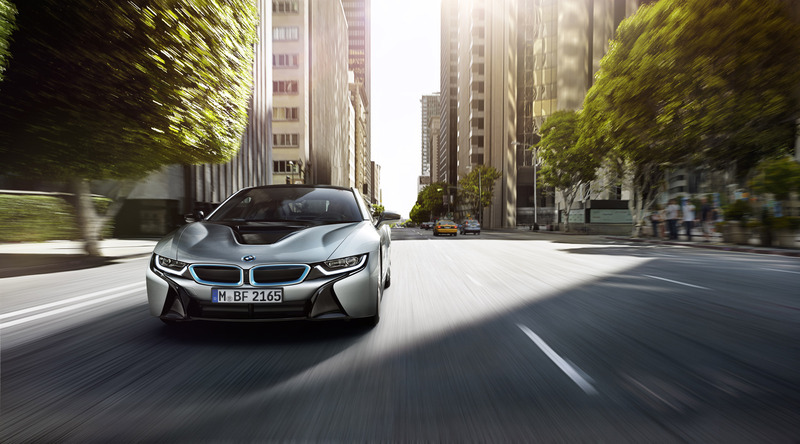 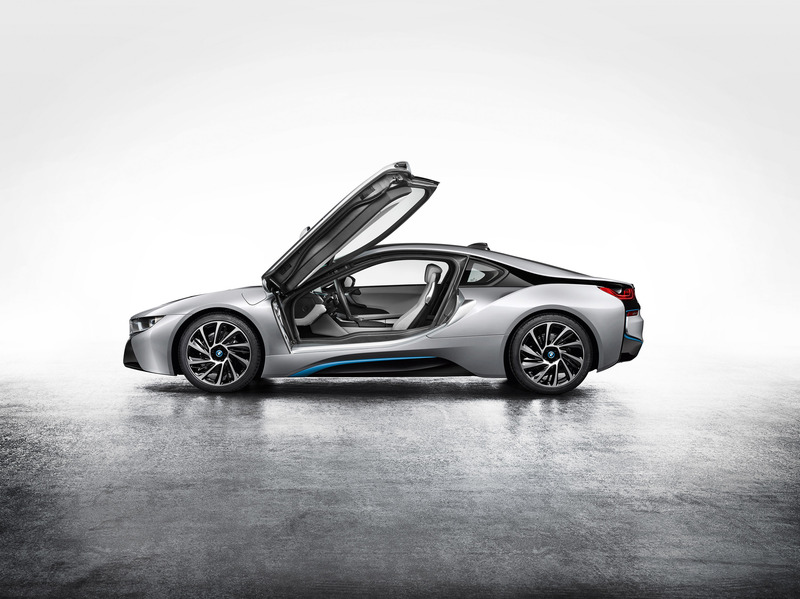 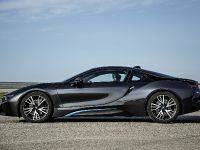 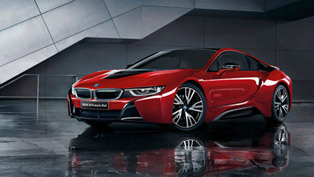 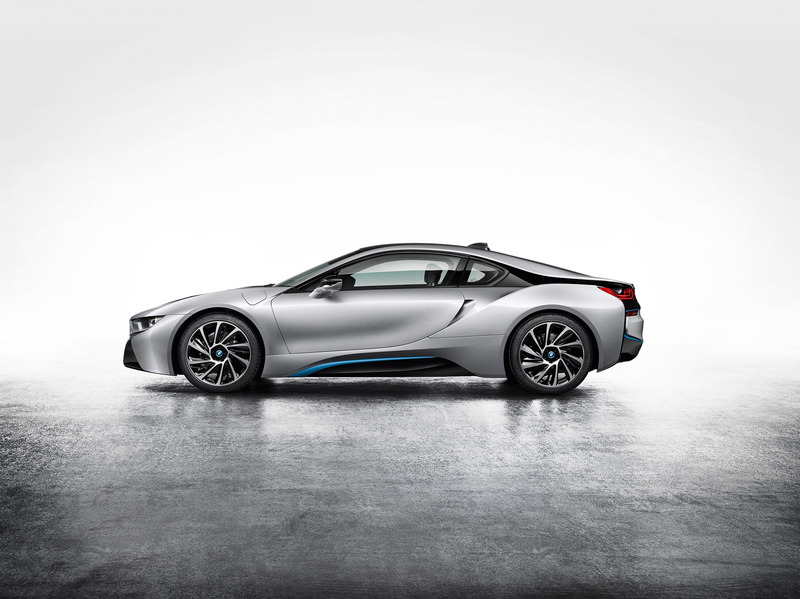 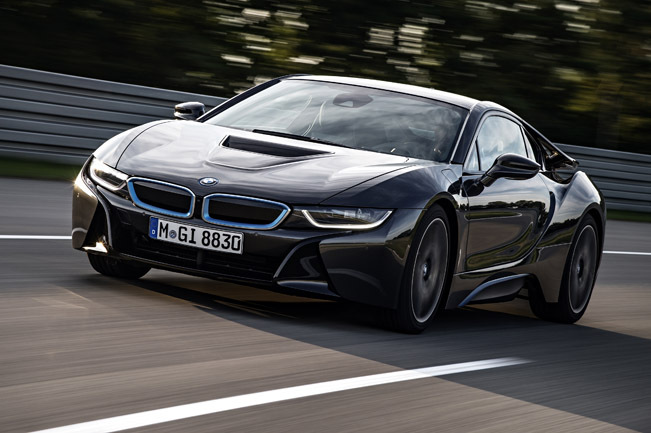 This is the first plug-in hybrid vehicle from the BMW Group and world's most forward-looking sports car. 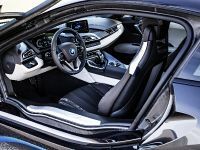 It features the revolutionary interpretation of BMW's hallmark driving pleasure and groundbreaking premium character clearly defined in terms of sustainability. 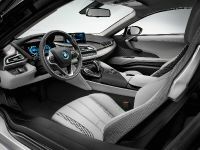 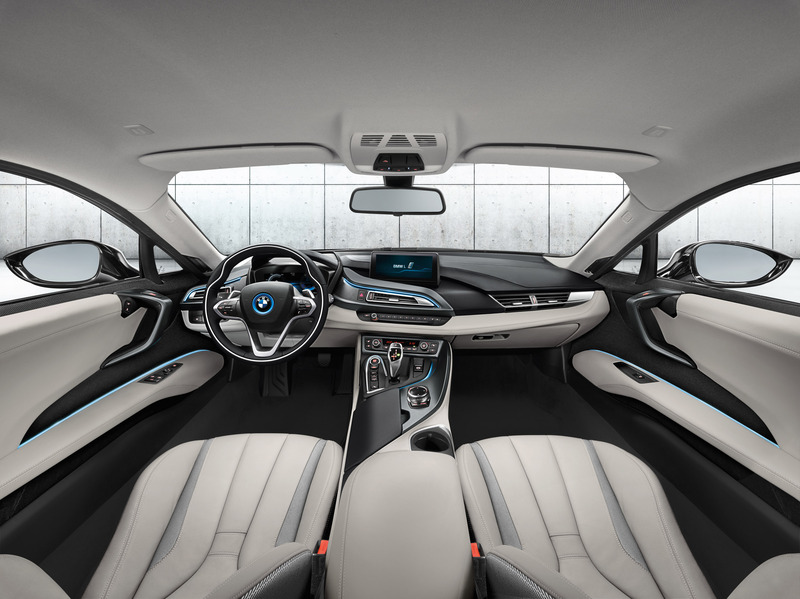 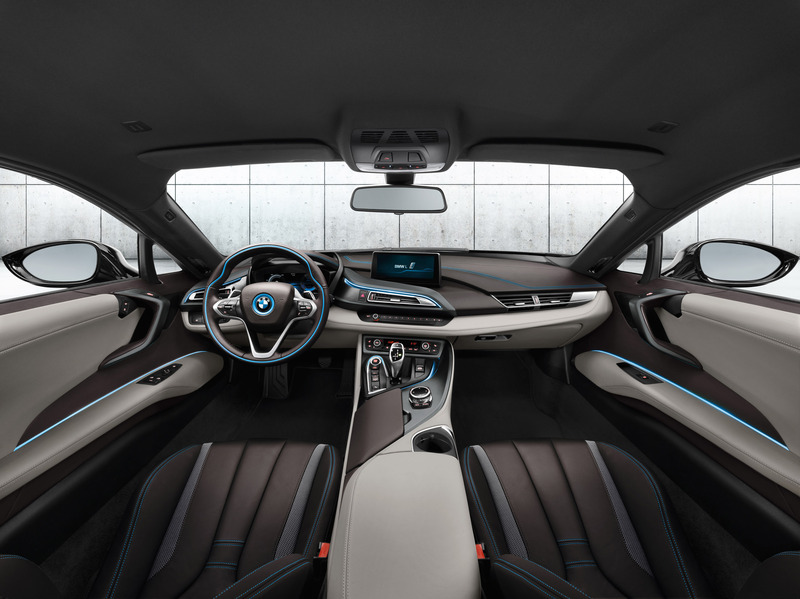 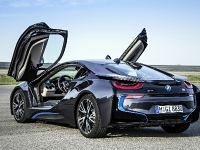 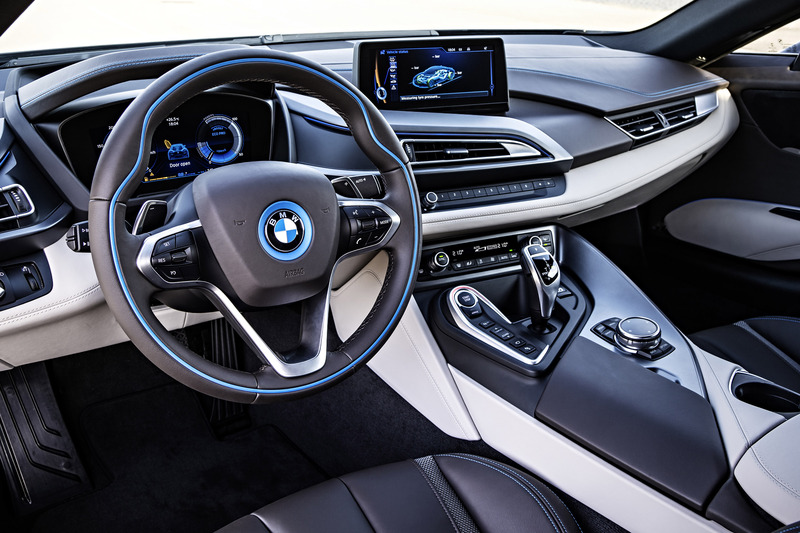 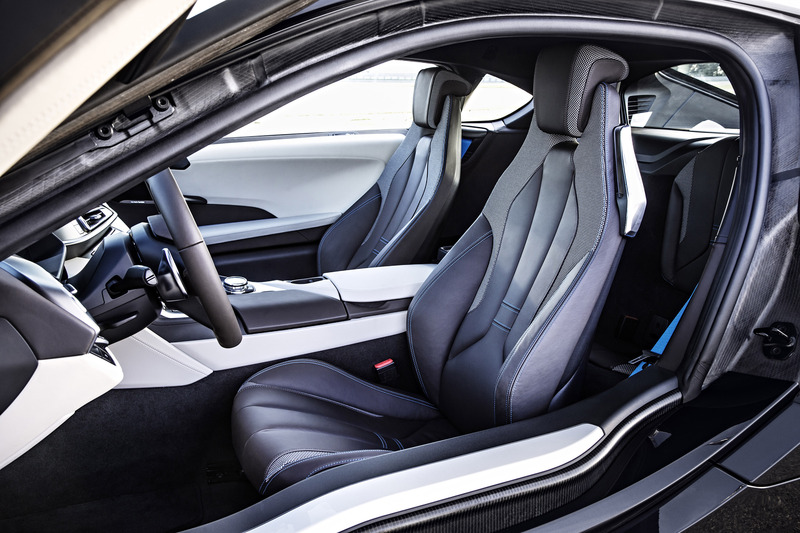 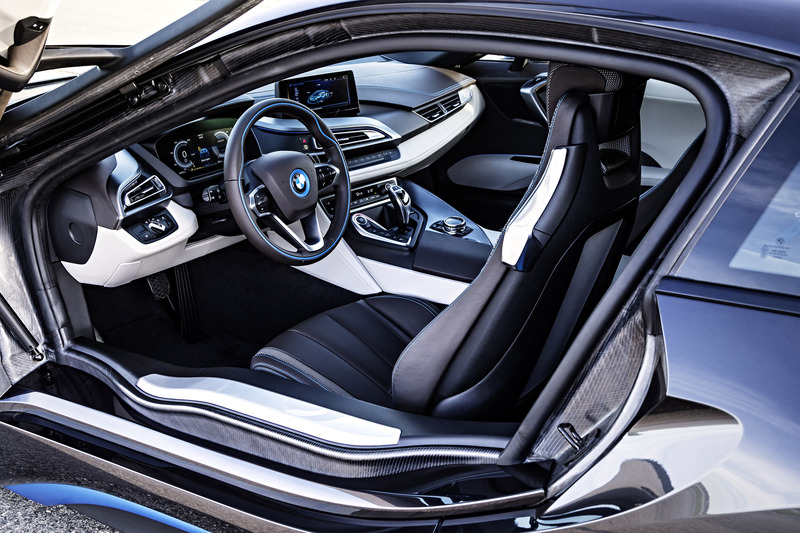 2014 BMW i8 is powered by a 1.5 liter three-cylinder TwinPower Turbo petrol engine – 231HP (170 kW) and 320Nm (236 lb-ft) powering the rear wheels and an electric motor – 131HP (96 kW) and 250Nm (184 lb-ft) on the front axle. 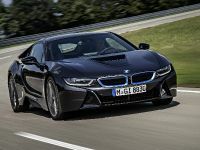 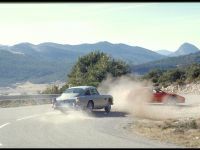 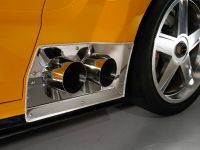 The total output is 362HP (266 kW) and 570Nm (420 lb-ft) of torque. 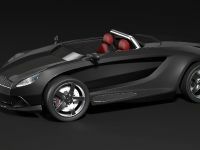 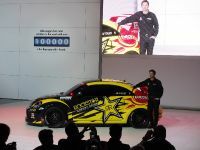 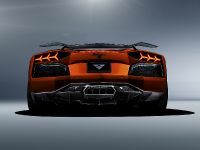 0-100 km/h in less than 4.4 seconds and a top speed of 250 km/h (155 mph). 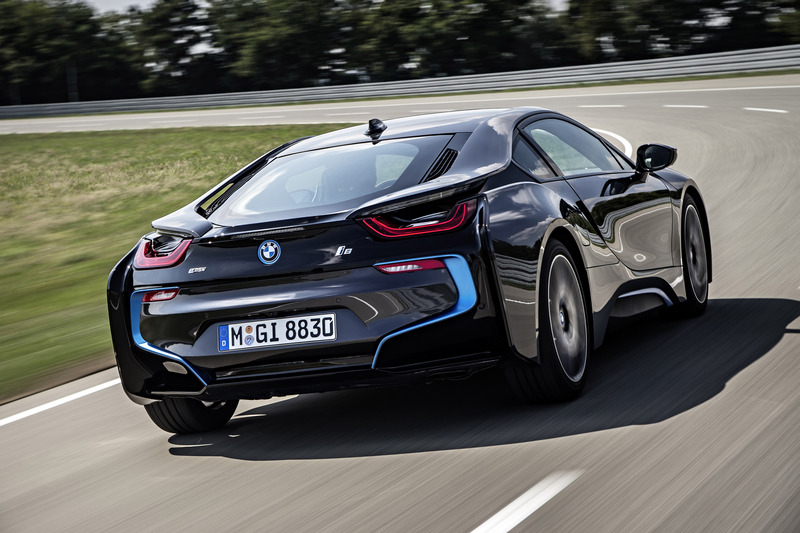 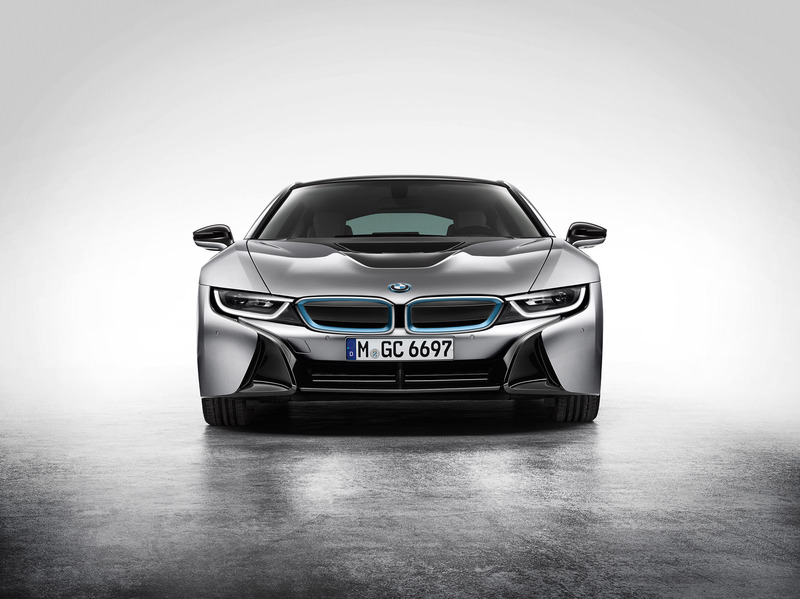 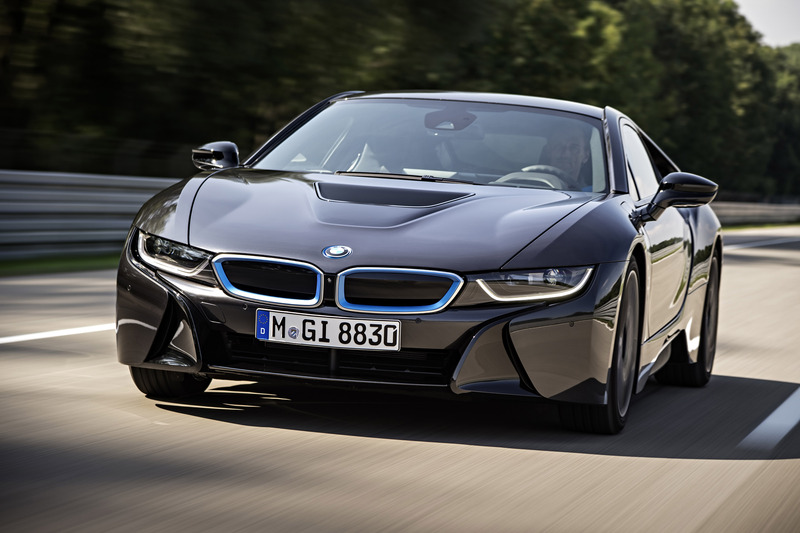 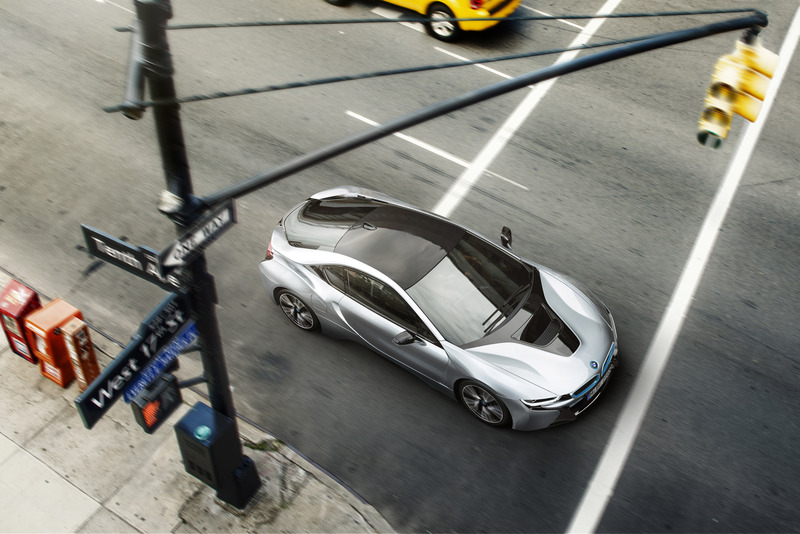 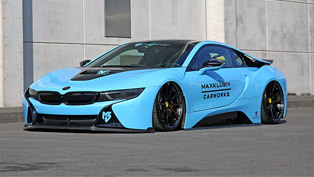 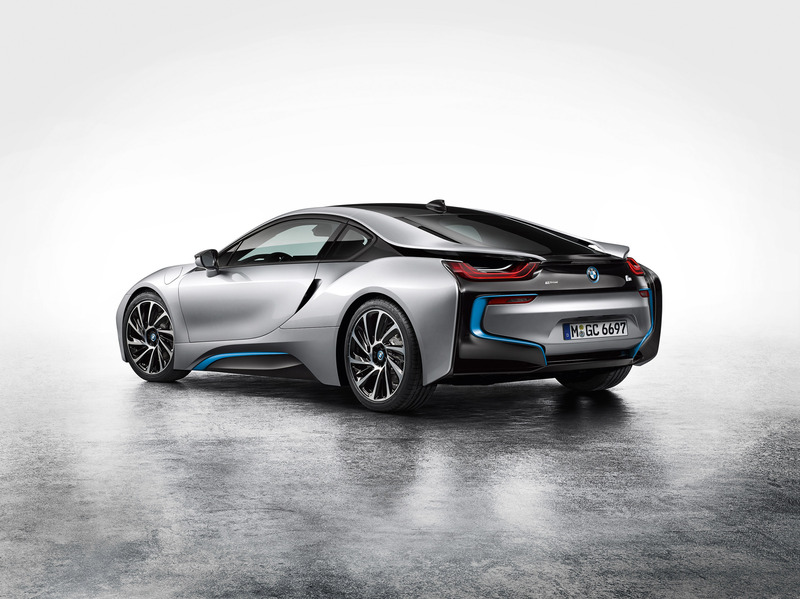 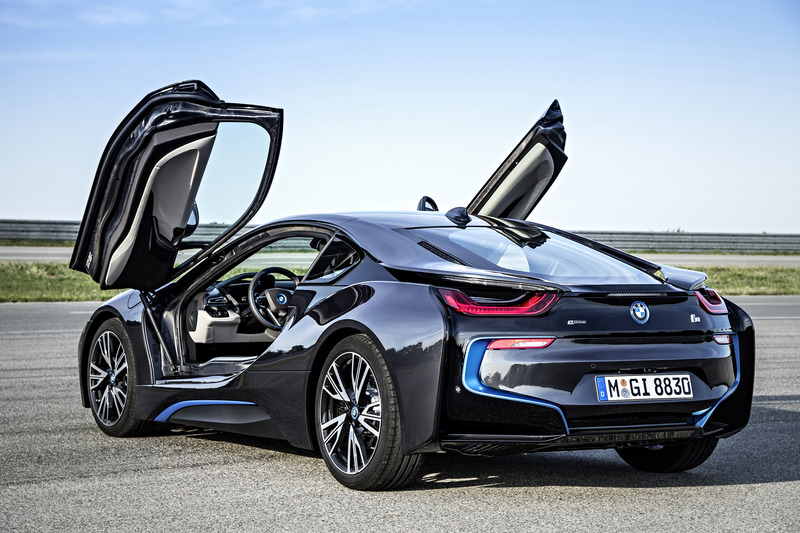 The i8 weighs just 1,490 kg (3,285 lbs). 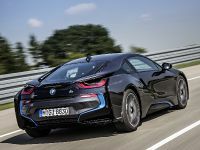 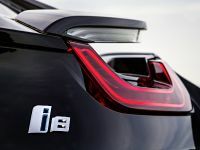 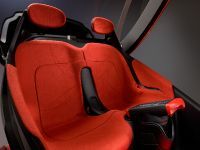 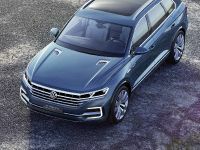 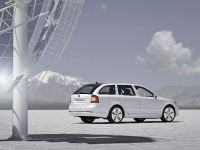 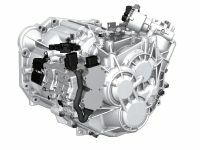 It is able to return 113 mpg UK or 94 mpg US – 2.5 liters / 100 km and a zero-emission range of 35 km (22 miles) with top speed of 120 km/h (75 mph). 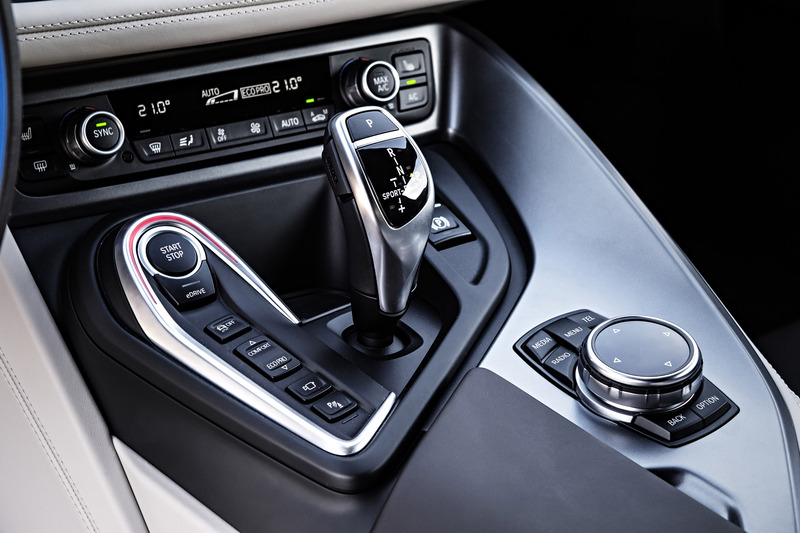 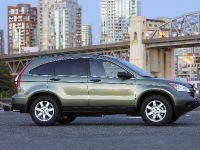 Extensive standard equipment includes the Navigation system Professional with proactive drive system for all-electric driving, fully-digital instrument display, BMW iDrive with freestanding Control Display and leather sports seats; choice of four exterior paint finishes and four interior equipment variants There are also 20" alloy wheels, a rear view camera, high beam assistant, speed limit info, Surround View, Head-Up Display and Collision Warning with pedestrian recognition.